Have you ever found yourself staring at a pile of dishes, struggling to muster up the will to just get them clean? Maybe you just tell yourself you'll "let them soak" for a bit so they're easier to wash later. How about the bills, files, and paperwork that are scattered around your work space, which you have come to casually dismiss as "organized chaos"? In reality you could and probably should tidy it up, but you conjure up justifications and excuses, saying that if you needed to you could find what you were looking for. Conversely, how do you feel when you've just cleaned up your entire house and everything is organized? The answer is obvious: you feel great, relaxed, and accomplished. Sometimes it's easy to let the mundane chores slip our mind, which is why they usually end up piling up. By making a list and posting it on your fridge or in your room, you are reminding yourself to check on those things regularly. When you’re bored with nothing to do, look at the list; more times than not you will find that there is something that needs to be done. Break your chores down into manageable chunks. Sometimes doing multiple things at once is good, but our brains can only simultaneously process so many things at once. Trying to juggle too many tasks at a time will make you feel overwhelmed, ultimately discouraging you from accomplishing anything. Focus on no more than two tasks at a time. Many chores involve waiting around so use that down time to think about what you can do next. While you wait for your laundry to dry, maybe try to tidy up the laundry room or vacuum the area around it. Create a system for yourself. Organize your things in a way that is easy for you to access and remember. (But remember, stay away from "organized chaos"). Get filing cabinets and storage containers so you can label where you want to place certain items and keep them there. Streamline your daily routine so that you're not scrambling to gather your things in the morning. Think of your routine as an assembly line, and make a process that is easy for you to commit to memory. Prepare things the night before so you can grab and go on your way out of the door, stress free. Sometimes you look at a mess and think to yourself "it's not that bad, I'll take care of it later." However, this is the exact mentality that leads to the compounding effect of clutter. Instead of waiting letting the dishes pile up to a 30 minute task, take 5 minutes to clean them up after every meal. Teach yourself to recognize clutter buildup and take care of it immediately. 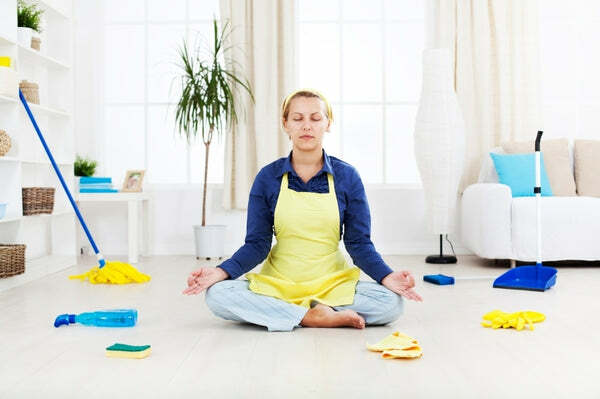 By taking care of the chores before you let them have a chance of piling up, you create less work for yourself later on, which ultimately means less stress and a more relaxing environment. After all, your own home should be the last thing that is stressing you out. Remember, everyone has different systems and methods of handling clutter in their life. 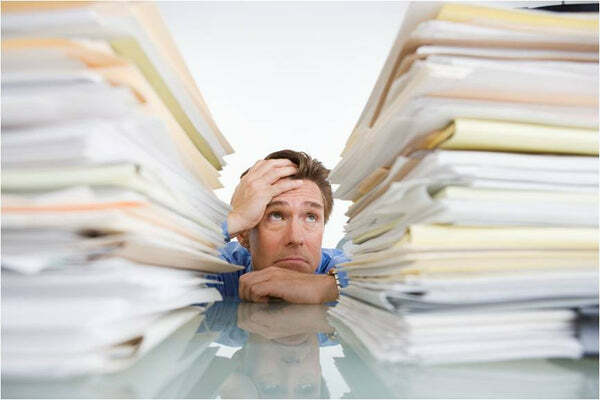 Regardless of how you do it, the most important thing to note is to not let the clutter psych you out. Your home should be comfortable and relaxing, not stressful. Remember the feeling of accomplishment and relaxation when you've just finished cleaning the house; so long as you use this as your sole motivation, you will be encouraged to never let clutter build again. What are some of your tips for managing clutter? Share them with us!